Editor’s Note: Mmm…so many different ideas and views of how humanity evolves! But you know what? Every version ends the same way…with the evolution of mankind now stationed on Planet Earth. 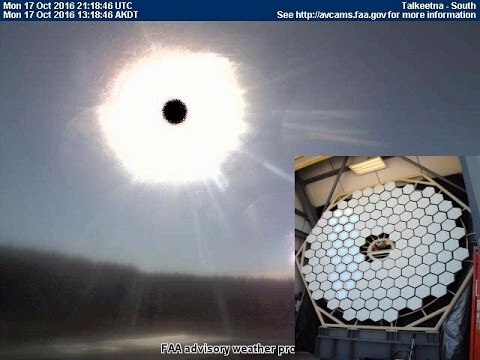 For those aware of the inter-galactic component to our reality, or at least willing to consider it, first we have news and solar camera shots from Yellow Rose for Texa Es. Following are the intel/observations Rose has with respect to the activities of the El-ites attempting to regain control and save their shameless nether regions. It also involves our escape from this prison planet, where we are under quarantine to keep the infestation here from contaminating the planets that have already been cleared. If you have not seen any videos Rose did several years ago explaining where we are, the escape route, the covens, the branches of Man, etc., not all of this will make sense but you’ll get the gist of the rest; the big picture, and can explore further if you wish. Consider it news… consider it rumour… your choice. Thanks, L, and thanks, Rose. Clearly life is a little different from what we’ve been led to believe. The star nations have our backs, however, and we’re going home. The evil ones just never give up but we will toss them into Hell’s landfill where they belong. First, the good news—and I found here an interesting take on the Trump/QAnon approach and part in our liberation. It definitely worked, and as I have suggested in the past, everyone including Donald Trump came through the necessary channels to arm them with the required knowledge, experience, tools and connections to play their roles to the hilt today. What I have seen thus far has been nothing short of brilliant and it IS historic. There is no point in painting anyone black because of the route they took to get here. In other words, don’t look a gift horse in the mouth. Everything is unfolding in favour of the Light, and all’s well that ends well. Next, some possibly not-so-good news. If this material is completely new to you, it will blow your mind. It’s the best evidence yet of our fake reality that I’ve seen. I have long believed that what we see in our skies is not real, and the evidence supports that. There are many videos showing photos from across the world that the average person captured showing the fakery and the unnatural aspects of what is above our heads while we are encouraged to focus downward on our tablets, smart phones and televisions. While the images below may seem too far-fetched for some to believe, just for arguments’s sake consider the suggestion that we were “moved”—and most of us didn’t detect it; that most of us didn’t catch on that we were no longer on Earth/Terra/Midgard. How many have noticed that stars never used to look like that, that the sun now has a black dot in the center and in some shots appears hexagonal, that it flickers and falters, that images of the moon have rippled on video like a reflection in a pond, that the sun and moon often rise and set incorrectly, that we frequently see “two suns” or light sources, that we see square and rectangular clouds regularly now, and even clouds BEHIND the sun, and other nonsense? Curious and determined folks have sent backyard rockets straight up for miles with cameras on them and they stop cold at a certain point, every time, like they ran into a barrier. Despite the subject matter, it’s really not rocket science—just straight physics we can observe with our own eyes and you can see it on YouTube. Even to the least discerning mind, when presented with material like this, things are not even close to “natural”—or what we once considered normal and natural when we went to school. Perhaps you will wish to explore just what sort of a place we are at present, and why we might want to “escape”. No one person has ALL the answers, but there are many insiders/whistleblowers stepping forward now during our apocalypse; the great revealing. Some of it might resonate, enabling you to connect a few more dots. Some of those doing this sort of research in the alternative news community are working together, pooling their evidence and making their best educated guesses as to what the truth is. Their hypotheses may not all be correct, but at the very least it’s a bridge to a more accurate reality. We have to start somewhere, and there’s some brilliant work here. Kudos to BoogieMan and his community. I’m glad he blew his money on specialized photographic toys. We all make our sacrifices, lol. If nothing else, what we should surmise from this information is that here, on this “plane(t)”, we are not exactly “out there in space” with the images we see of the sun and other planets. All that stuff the masons at NASA and Neil deGrasse Tyson tell us about our galaxy, the Universe, and our planet… I give it a miss. It’s not even good entertainment value. This entry was posted in Uncategorized and tagged Apollyon, Boogieman, cameras, clouds, domed earth, Earth, elites, extraterrestrials, fakery, firmament, freedom, galactics, great deception, Holographic images, leaked, love, moon, NASA, news, parasites, Prison Planet, quarantine, quarentine, rumours, Secret space program, shadow government, Skydome Atlantis, space, space fence, spacecraft, star nations, stars, Starship Earth, structures, Sun, sun simulator, tracks, weather, Yellow Rose for Texas. Bookmark the permalink.